In what has become something of a holiday specialty for Will Packer, Almost Christmas is a family-friendly cinematic offering infused with spirituality that boasts top-level black talent. Recently, The Shadow League was able to speak Packer, the film’s Executive Producer, and actress Kimberly Elise about the merits of the film, as well as the heart and soul that went into making it. Packer’s name is synonymous with light-hearted, situational and contemporary black movies. Responsible for such offerings as Stomp the Yard, Takers and Think Like a Man, he knows the exact formula that brings black folks out to the box office. Name recognition is one of them. With a cast that includes Danny Glover, Kimberly Elise, Mo’Nique, Gabrielle Union and Omar Epps, he has that base covered. 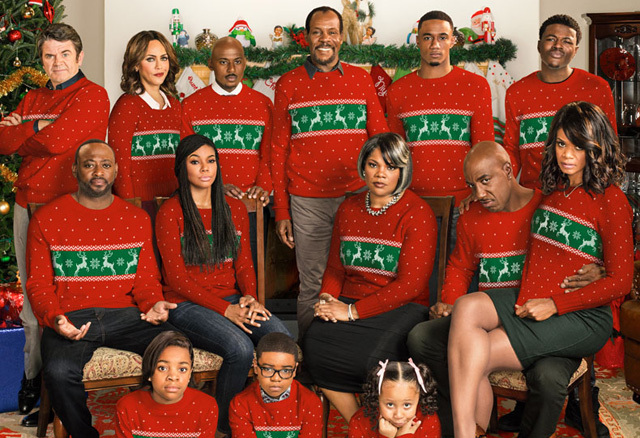 And with all that’s going on in the world, a funny Black movie with a message of family and love can’t hurt. Equally mixing comedy and drama is a delicate alchemy. Kimberly told me that the mood on set remained light even during intense moments. I asked her about once again working with Danny Glover. The laughs keeping coming in Almost Christmas, many of them powered by Mo’Nique. To see what all the fuss is about, check out Almost Christmas in theaters November 11.